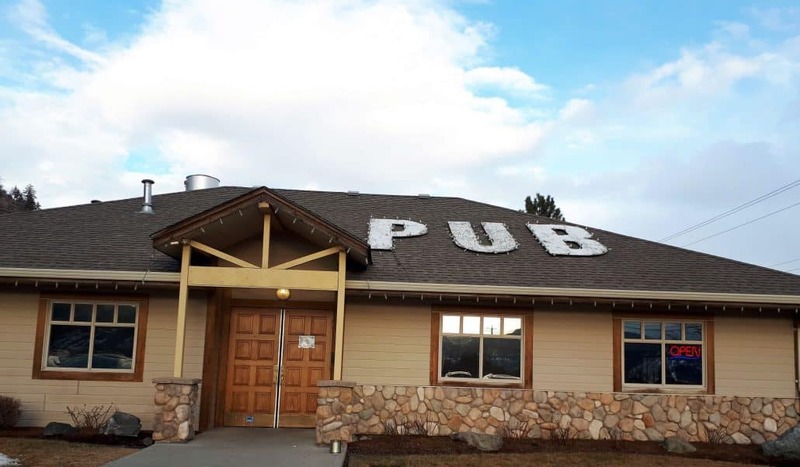 There are a few Merritt BC restaurant pubs to select from when visiting the Nicola Valley. But there is little like Game On Sports for food, service, ambiance and location. 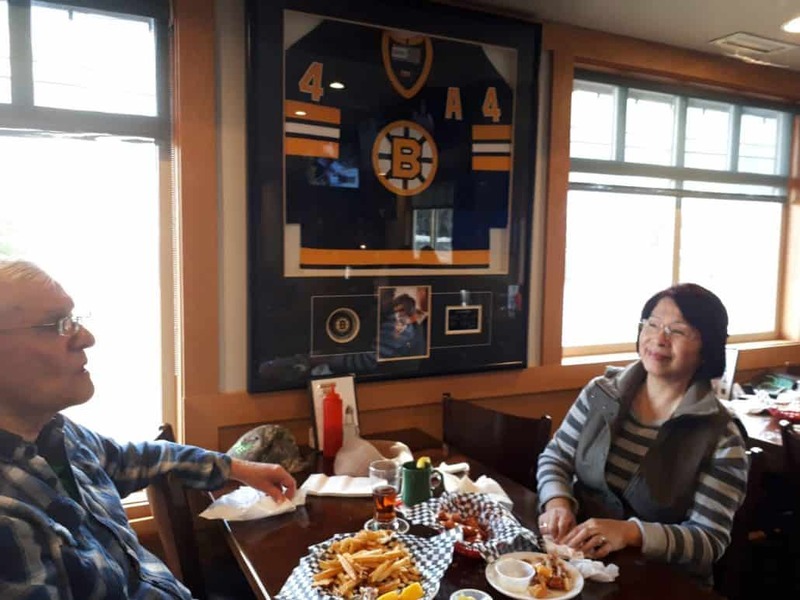 Many Merritt locals have made Game On Sports Bar & Grill one of their favourite places to eat, meet, and greet family & friends. In other words it is a popular choice for many locals when one seeks big meals, refreshments and a lively atmosphere. 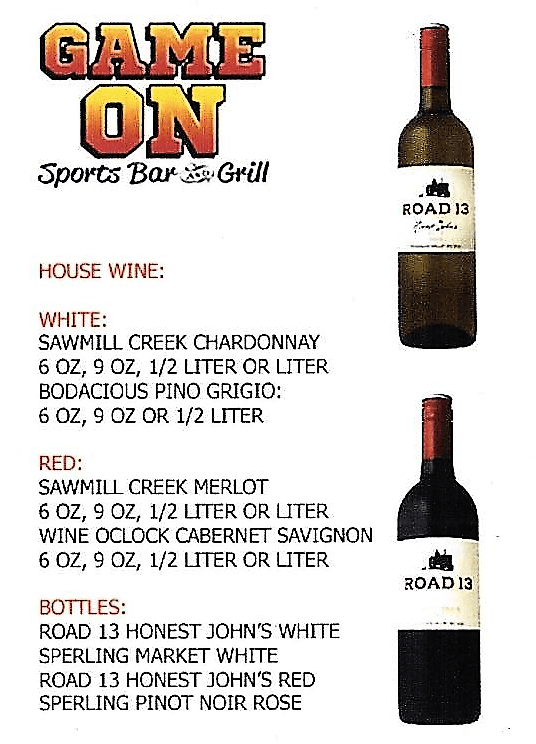 Experience Merritt’s Game On Sports Bar & Grill. 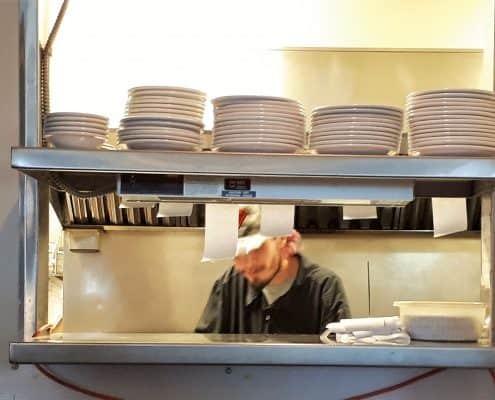 In addition to enjoying a delicious home-style meal while taking in the beautiful views of the Nicola Valley, you will be treated to some of the best service I have ever encountered since I have lived in the Nicola Valley. From the time I walked in the door, I was instantly welcomed by Lona. Lona shared with me how much she values customer’s opinions and feedback. I arrived at Game On around 4:30 PM, thinking that the dinner rush wouldn’t start for an hour. There were about 5 tables occupied all-ready. However as I sat there deciding what to order, I noticed how quickly the room began to fill. Consequently by 5:15 there were 3 to 4 peopled seated at seven different tables. Being Tuesday, I thought I would be able to sit with Lona uninterrupted for my little interview. Instead I had to ask her questions every time she came by my table due to how busy she was. Meet Game On Sports Bar & Grill Manager Lona. 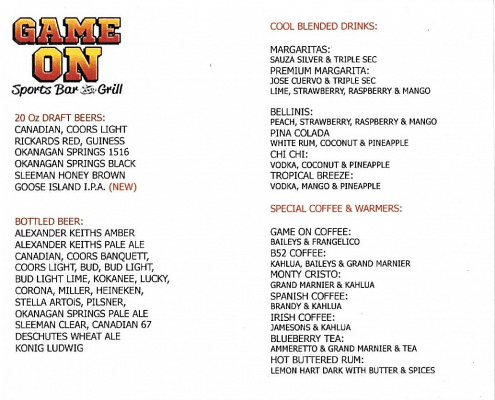 The menu at Game On Sports provides a wide assortment pub food, beverages and appetizers. But it is not limited to what is on the menu. Game On is well known in the valley for “going above and beyond” for its regular clientele. For example they have ordered in specific wines and spirits. Secondly they take pre-orders for clientele who are on lunch breaks or have limited time. Furthermore Lona shared that the continuing success of Game On Sports Bar & Grill’s has a lot to do with teamwork and dedication. A culture supported by the owner – Jim Cooley. 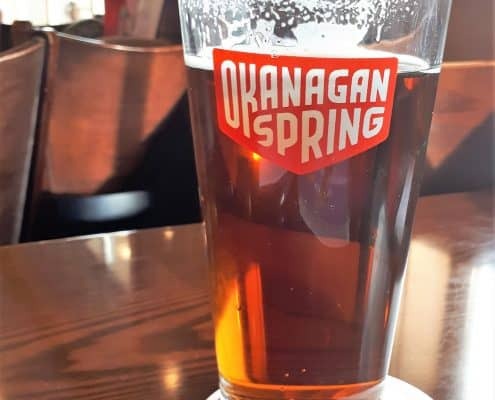 When visiting this restaurant pub in Merritt BC Canada there is a generous selection of appetizers on the menu including such popular items as calamari, chicken wings and prawns. 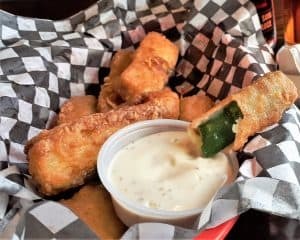 However, I highly recommend the Zucchini sticks! It is a personal favourite of mine. The main menu was a bit more of a challenge as the selection is big… and then there is always the daily special’s. Good news! Whatever you decide on, I can tell you one thing, the meals are very generous. If unsure on what to order, ask your server. I guarantee you will not be steered wrong. Big servings at Game On Sports A Perfect Meal! While waiting for your appy or starter dish, why not enjoy one of the many alcohol beverages available from the wine, special coffee, and ale lists. Try a Bellini, if you so dare. Non-alcohol beverages are also available. With such an impressive list, I opted for a cold one. And what a great choice it was. Seating capacity is up to 85 patrons. View from Merritt’s Game On Sports Bar & Grill. Beautiful! Along with its fantastic atmosphere and ambiance, Game On Sports Bar & Grill is full of genuine sports memorabilia. Sports fans will love this place. The walls are full of sports memorabilia, some even signed. Then there are the 9 large T.V’s. with various sporting events playing for all to enjoy. 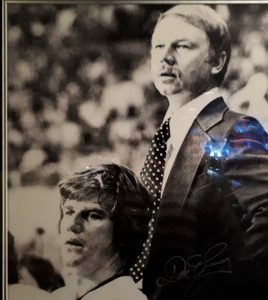 Can You Guess Who These 2 Are? George and his lovely wife Terri frequent Game On 4-5 times a month year round. During my culinary bliss, I was fortunate to meet George & Terri who were also dinning at Game On Sports Bar & Grill. Being that they were very friendly Merrittonians, they graciously shared with me how much they love eating at this particular restaurant pub in Merritt BC. 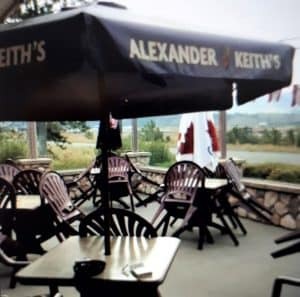 The quality of the food, great service and its welcoming atmosphere makes this one of their favourite places to dine in the Nicola Valley. In conclusion I was very impressed with the friendly service, ambiance, and the quality of the food. The atmosphere was perfect. 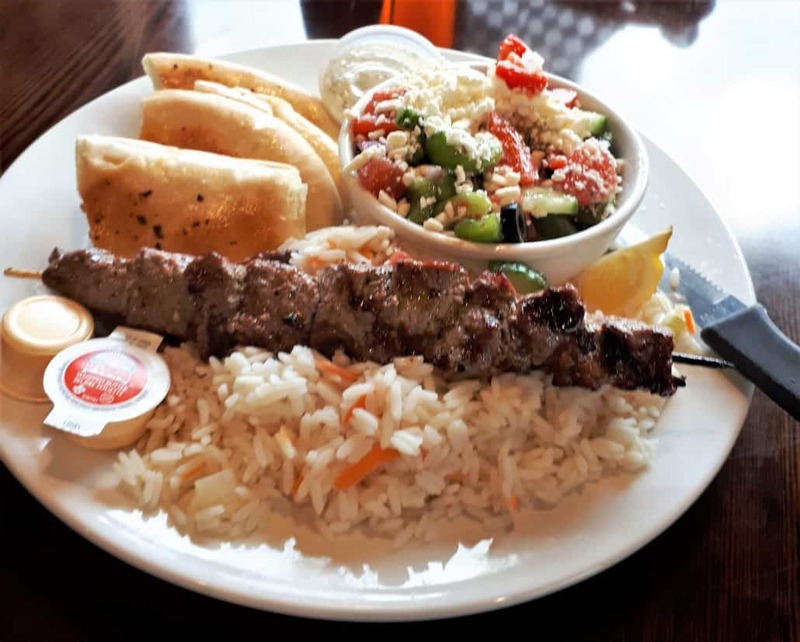 The Merritt BC restaurant is just one easy-access exit off of the Coquihalla Highway. Just look for all the gas stations on your right and turn in there and follow that road to the end. Merritt’s Game On Sports Bar & Grill has ample parking space. Parking is allowed on the street in front. There is also parking just down the road for trailers and motorhomes. 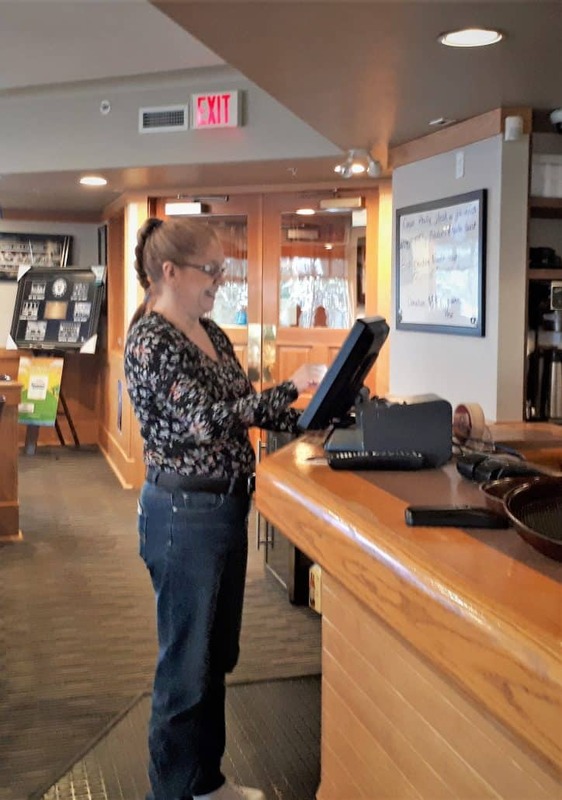 Game On Sports Bar and Grill, a proud Merritt BC restaurant pub, is widely known for it’s amazing home-style meals, great Ambiance and daily food specials.